In another much-needed box office win for Paramount, Mission: Impossible – Fallout has managed to have the franchise’s biggest openings ever, which also doubles as the second-biggest opening to a movie starring Tom Cruise (only behind his version of War of the Worlds). Meanwhile, Teen Titans GO! went to the movies, but it seems as though slightly fewer people went with them than initially expected. As for the other big release, Teen Titans GO! To The Movies, a feature-length version of the Cartoon Network show, the movie opened to a merely okay $10.5M. I say “okay” in the context of a widely-released movie pulling in those kinds of numbers because it only took $10M to make the movie, and that’s a low enough budget to ensure that the movie will turn a profit as long as it doesn’t fall off the map next weekend. Still, perhaps putting the movie on the heels of animated competition like Incredibles 2 and Hotel Transylvania 3 wasn’t WB’s best idea, and that could easily explain a disappointing start when the movie was expected to make around $15M. 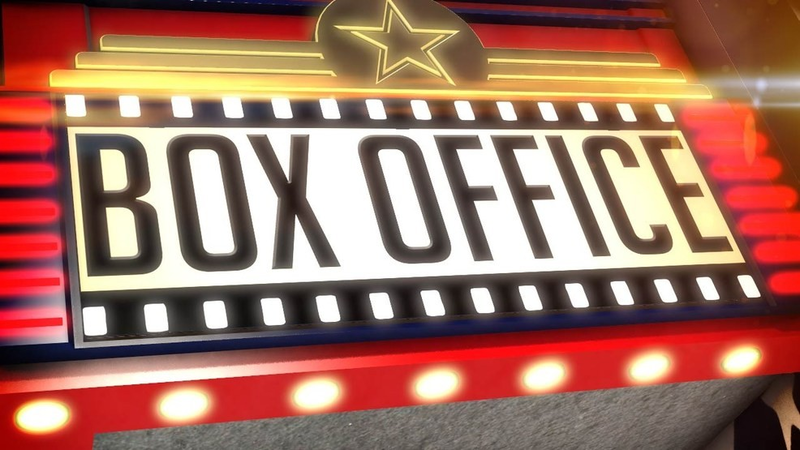 While the international box office on the movie isn’t particularly high right now, there are a lot of places for it to still open in. There are other things of note that happened this weekend, such as The Equalizer 2‘s surprise victory over Mamma Mia: Here We Go Again! last weekend has since been reversed, although both movies are performing at about the same level overall. Ant-Man and the Wasp has surpassed the domestic gross of the original film while it still has yet to open in a number of big markets internationally, and although the movie looks to still be one of Marvel’s smaller offerings, it appears to be resilient from weekend to weekend, holding well. And while it’s not in the Top Twelve, Black Panther‘s drive to get the film past $700M domestically has fallen a bit short, as the film is still roughly $45,000 away from reaching that milestone. (So close!) If Disney can convince a few more theaters to bring the movie back for another week or two, then it should be able to clear that goal; as it currently stands, it’s only playing in about 15 theaters nationwide. Mission: Impossible – Fallout (Paramount Pictures) – $61.5M Weekend. Mamma Mia: Here We Go Again! (Universal Pictures) – $15M Weekend/$70.425M Total; 57.1% Drop. The Equalizer 2 (Sony Pictures) – $14M Weekend/$64.231M Total; 61.1% Drop. Hotel Transylvania 3: Summer Vacation (Sony Pictures) – $12.305M Weekend/$119.228M Total; 48.2% Drop. Teen Titans GO! To The Movies (Warner Bros./Warner Animation Group) – $10.51M Weekend. Ant-Man and the Wasp (Disney/Marvel Studios) – $8.4M Weekend/$183.124M Total; 49.1% Drop. Incredibles 2 (Disney/Pixar) – $7.157M Weekend/$572.78M Total; 39.8% Drop. Jurassic World: Fallen Kingdom (Universal Pictures) – $6.775M Weekend/$397.555M Total; 39.8% Drop. Skyscraper (Universal/Legendary Pictures) – $5.4M Weekend/$59.152M Total; 52.5% Drop. The First Purge (Universal Pictures/Blumhouse Productions) – $2.23M Weekend/$65.485M Total; 56.3% Drop. Unfriended: Dark Web (Universal Pictures/Blumhouse Productions) – $1.5M Weekend/$7.393M Total; 58.9% Drop. Sorry to Bother You (Annapurna Pictures) – $1.45M Weekend/$13.351M Total; 49.4% Drop. Incredibles 2, Jurassic World: Fallen Kingdom, Ant-Man and the Wasp, Skyscraper, The Equalizer 2, and Mission: Impossible – Fallout are now playing in theaters.